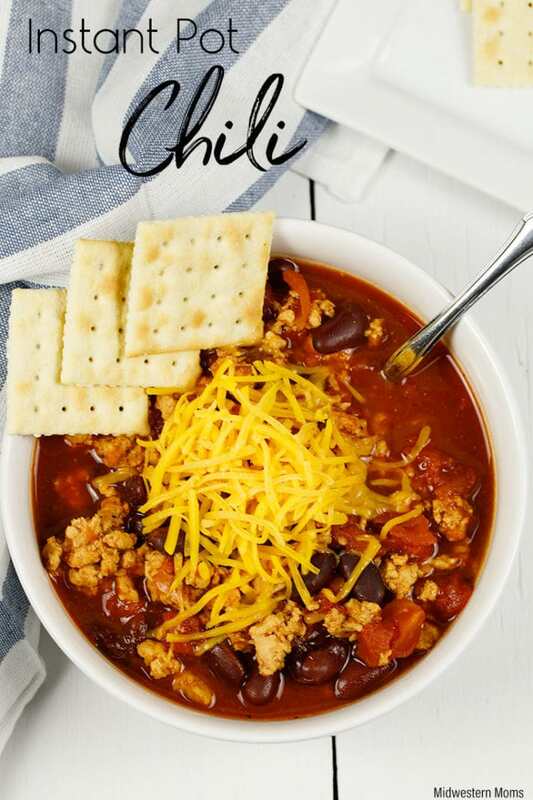 A hearty and comforting chili recipe! 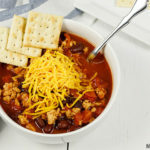 It is the BEST Instant Pot chili recipe you can try! It is SO EASY to make with little effort from you. Let the pressure cooker do the work for you! My favorite comfort food, especially when it is cold, is chili. 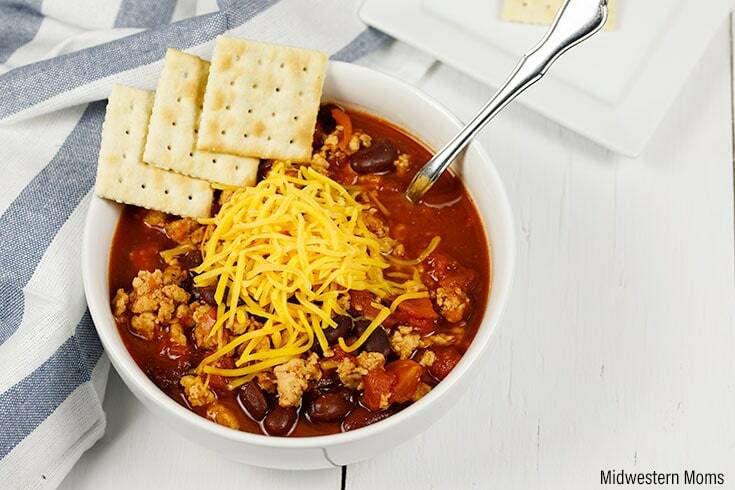 There is just something about chili that warms the soul when it is cold and a blizzard outside. Want to know why I love this recipe so much? I don’t have to stand there the whole time to create a delicious meal for my family. The Instant Pot does all the work for you! It is as simple as browning the meat and dumping in the ingredients and then set it and forget. Well, you won’t fail to remember it since the food will have your whole house smelling delicious! Step 1: Place the ground turkey in your instant pot (without the lid). Choose Saute on the Normal setting and brown your turkey. Once the turkey has cooked, press Cancel. At this point, if you need to drain the turkey and return it to the pressure cooker. Tip: If you purchase a lean cut of ground turkey, you will not need to drain the meat. Step 2: Add the tomato sauce, beans, broth, tomatoes, chili powder, and black pepper. Lock the lid on to the pot and close the pressure-release valve. Step 3: Select Manual and make sure the pressure setting is set to High and cook time is 10 minutes. Step 4: When the chili is done cooking, allow for a natural release of pressure to depressurize. Serve: We love to add shredded Cheddar cheese to our chili. It enhances the flavor. We also break up saltine crackers and mix it in. Do I have to use ground turkey? No, you do not. You can use ground beef and change the broth to beef broth. Do I need to rinse off the kidney beans? No, I only drain them. What do you use to hold on to the pot when it is hot? I love using these silicone pot holders. They are perfect for grabbing the edge of the pot. Instant Pot Ribs – They just fall off the bone! Select Saute and adjust it to Normal. Add the ground turkey and cook until done. Press Cancel. Drain, if needed, and return the meat to the pot. Add the tomato sauce, beans, broth, diced tomatoes, chili powder, and black pepper. Lock the lid and close the pressure-release valve. Select Manual and cook on High pressure for 10 minutes. Use a natural release of pressure. You can substitute the turkey with ground beef. Just make sure you use beef broth instead of chicken.